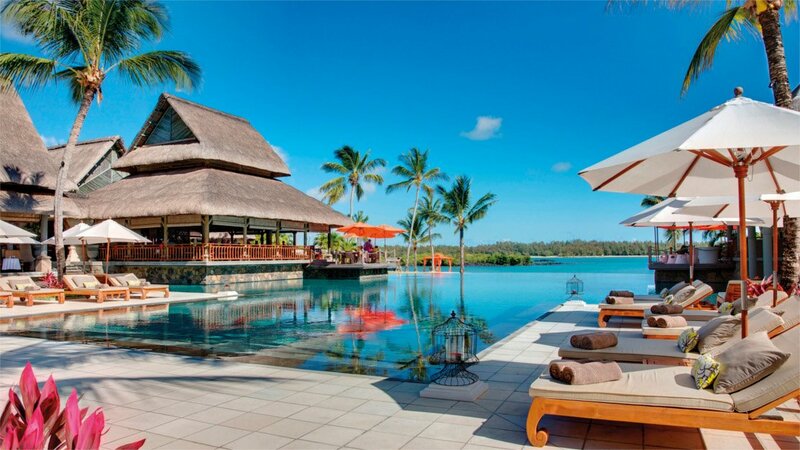 This wonderful retreat is a member of the ‘Leading Hotels of The World’ and is a luxurious hideaway positioned right on the beautiful coastline of Mauritius’ north-east tip 35km from Port Louis, the capital. Named after the pioneer of spice trade, Constance Prince Maurice is a beautiful display of architecture and beauty, modern design and pure romance. Blissful experiences are yours for the taking and involve a number of options to tailor-make your unforgettable break in this idyllic part of the world. Relax in princely villas that are designed and equipped to a supreme standard. Sit back and enjoy the most exquisite cuisine in a venue that’s simply divine whether it is by the twinkling ocean or amidst ornate interior design. Prepare the children for unforgettable adventures and experiences in Constance Kids’ Club, linger a while and revel in fantastic spa services or head off on an excursion to discover Mauritius’ exotic marine life. From golf to shopping, fishing to fitness, the options are endless. The Constance Prince Maurice Resort is located directly on the beachfront. The resort boasts an idyllic location providing all the amenities you could possibly need onsite. Sir Seewoosagur Ramgoolam International Airport is approximately 58km away from the Constance Prince Maurice Resort.